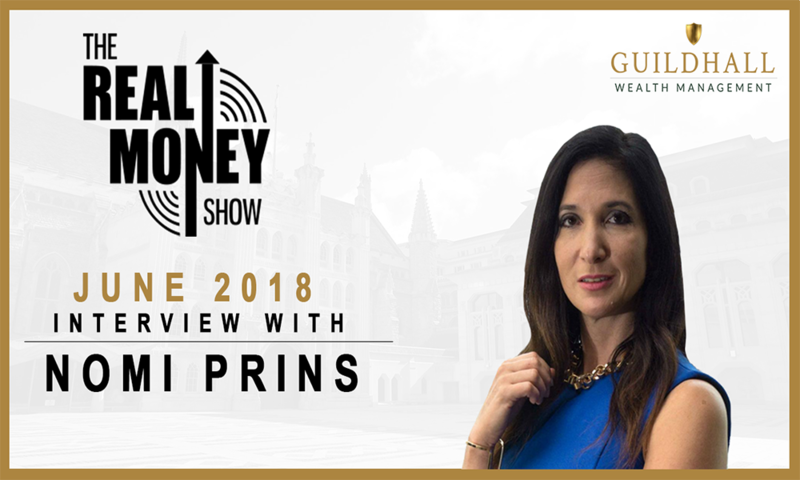 Renowned author, journalist, speaker and TV Commentator Nomi Prins joins us today on The Real Money Show. She worked on Wall Street as Senior Managing Director at Bear Stearns and a Managing Director at Goldman-Sachs before becoming a fierce advocate for regulatory reform and an educator through best selling books including It Takes A Pillage, All the Presidents’ Bankers and now Collusion. Her new book Collusion is out and it is a Tour de Force about how central bankers rigged the world. We are now all trapped by the US money conjuring policies. We’ll talk about some of the major shifts happening in the global monetary system. We’ll also discuss the coming collapse and protecting your wealth. Spoiler Alert! Get Out Of The Banking System.